Writer/producer, development exec and WGA member who supervised the development of Scream, Beautiful Girls, Copland, and Citizen Ruth. 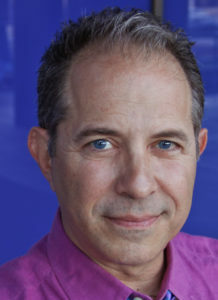 Mr. Rosenthal is a recipient of the UCLA Extension Outstanding Instructor Award in Screenwriting and is also the writer/producer of the No Manches Frida. Before you build a house, you draw the blueprints. Before you cook a meal, you get the ingredients. Before you have kids, you get married. Well, not always. But you get my drift. Preparation isn’t everything—but it’s a whole heck of a lot, and that’s what an introduction to screenwriting is about. I try to focus on finding universal truths, on creating a textured world in which the story takes place, and most importantly, on inventing fully dimensional characters. And, I try to make the learning experience fun.